The DNAge-Lab®'s Medical Engineering Department uses a combination of high-technology and fundamental engineering principles to refine implant designs and develop more efficient product. The investigation of the benefits that provides the human placenta begin in France under Dr. Filatov's technic. The works of investigation were developed with patients who presented arteritis obliterans of inferior members whose main symptoms were: pain, intermittent fatigue, hypotherm of the legs, patients with varicose vein disorder, varicose ulcers with its respective symptoms. Stem Cells, the "building blocks" of the body, have the remarkable potential to develop into many different cell types. Serving as a repair system for the body, they can theoretically divide without limit to replenish other cells. 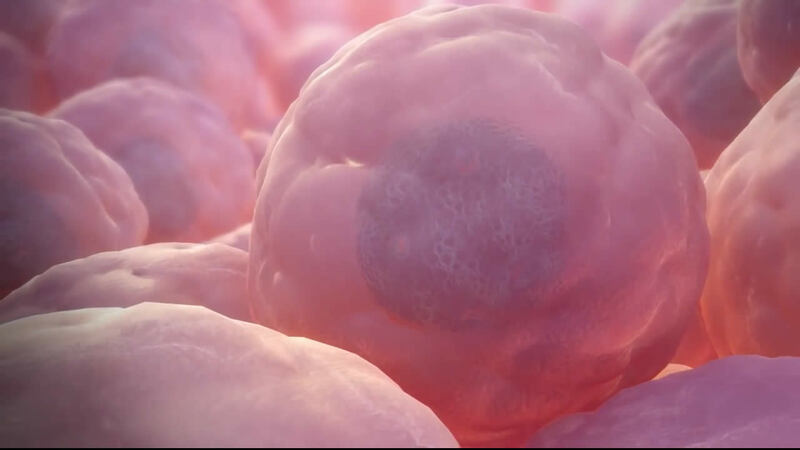 When a stem cell divides, each new cell has the potential to either cases: remain a stem cell or become to another type of cell with a more specialized function, such as a muscle cell, a red blood cell, a nerve cell, a heart cell or a brain cell, just to mention a few. DNAge-Lab ® delivers several products with adult stem cells named ReGeNeRaTe-SG ®, with vital nutrients and proteins. They are intended for organ repairing and their bioengineering. Discover what is possible when you combine your expertise with the proven capabilities of DNAge-Lab®’s products. Our partner program helps you succeed with a wide range of sales and technical training, tools, support, and marketing tools. The stem cells are obtained from a healthy young mother who has to approve a series of particular and rigorous tests. The method to obtain it has to be according the best standards, by qualified personal and supervised. The organ donation tests and other tests are performed, so sterility is guaranteed (PCA-HIV, VDRL, IGM-TORCH, HBVAg. HACV-ag). That is why we are proud to claim that this method of placenta therapy is effective, simple, long lasting, non-toxic and risk free. Hopping to a better protein. Introducing a new product called "ReGeNeRaTe-TG2 ®", it will be a new hope for arthritis and heart diseases. Billions of cells working for you, will be implanted in different areas according to the patient's condition and will be decided at the moment of the medical consultation. Cerebrum Cummunis ® is a technical conference sponsored by DNAge-Lab ®. It's held annually. Join today for the next Cerebrum Communis 2016 in ExpoNano 2016 International Conference & WorkShop. © 2016 DNAge-Lab. All Rights Reserved.